Just did this short animated video that neatly sums up the last five years of DRL and is hopefully funny as well. Technology has certainly come a long, long way. 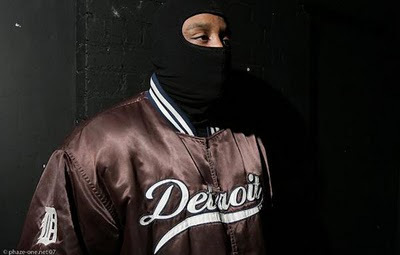 There is an interview and mix from DJ Stingray 313 aka Sheram Ingram aka Urban Tribe aka Mystic Tribe A.I. over at Resident Advisor now where amongst other things he reveals that he has been working on an Urban Tribe project with Heinrich Mueller and also talks about the 'Drexciyan Connection' 12". Good to hear this connection has turned into a developing project. On this subject he said, "The "Drexciyan Connection" nomer was the result of some miscommunication between us and WéMè, and will not be used again, but yes there are certainly plans for future collaborations. It's funny how we have known each other for years but only recently began working together. I really appreciate his work ethic, approach to composition and focus on sonic textures." or http://soundcloud.com/futurityworks for instant access. No more new tracks on the Noether Symmetry MySpace yet but it looks like Nina Kraviz is now being referred to as simply Curie. The curie (symbol Ci) is a unit of radioactivity. 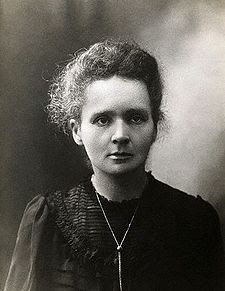 The unit is named after the famous Marie Curie (1867-1934) whose achievements include the creation of a theory of radioactivity, techniques for isolating radioactive isotopes, and the discovery of two new elements, polonium and radium. Under her direction, the world's first studies were conducted into the treatment of neoplasms (cancers), using radioactive isotopes. Her death was sadly brought on by radiation poisoning. Zerkalo now have a Vimeo page with six of their old video's already uploaded. Just a few days into 2010 and we are really being spoilt! There are two new Noether Symmetry tracks on their player now, 'Geiger Count' and 'Background Radiation (Ci)'. They are both pretty amazing as well and develop what looks to be their nuclear theme. 'Geiger Count' is actually pretty close to the sound we loved from Mueller back about 2000, it's quite like the uptempo stuff on the second Japanese Telecom album believe it or not. 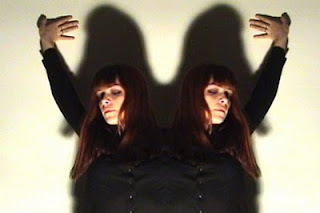 'Background Radiation' is more atmospheric and downtempo with a cool female vocal. They are also listing a new member in Lana Jastrevski (pictured). Can't find anything else on her. Decide for yourself if this has any Mueller involvement or not. Also another great new track and video by the ever prolific Zerkalo as well, 'Photon Photino'. There is also a new video for ‘Zelenogorsk’ as well but it is currently set to private. Two fan videos of their triumphant Paris show up as well. Good news according to Bleep, both the Transllusion ‘Opening of the Cerebral Gate’ and Shifted Phases albums were both reissued on CD sometime back by Tresor and true enough you can still buy the latter CD new from the Tresor shop. This means they are both around somewhere for slightly more reasonable prices for a time. In fact Neptune’s Lair is also available new on CD from this source as well so maybe a few more were pressed as well, respect. This will all wreck heads at Discogs I’m sure! But the remaining Tresor released album, Harnessed the Storm, is still out of stock. 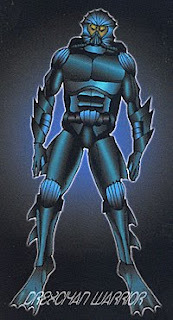 Because the Transllusion album is on the Tresor sub-label Supremat it doesn’t appear on their online catalogue but I checked with Amazon.co.uk and there is a bunch available new there so it’s happy days if your a new Drexciya fan!